Verizon has just confirmed us via their website that the HTC DROID INCREDIBLE 4G LTE will be available from them exclusively starting Thursday, July 5. The HTC DROID INCREDIBLE 4G LTE has a 4-inch, qHD Super LCD, 1.2GHz dual-core Qualcomm Snapdragon S4 processor, 8 megapixel rear camera with 1080p video recording, expandable 8GB memory, Beats Audio and Android 4.0 Ice Cream Sandwich, as well as the power of 4G LTE speeds. HTC Video Pic allows customers to simultaneously shoot HD quality video and take pictures at the same time. Beats Audio provides a rich and authentic sound across the entire mobile experience whether listening to music or playing a game. The Verizon Wireless 4G LTE network is available in 304 markets across the United States. In real-world, fully loaded network environments, 4G LTE customers should experience average data rates of 5 to 12 megabits per second (Mbps) on the downlink and 2 to 5 Mbps on the uplink. 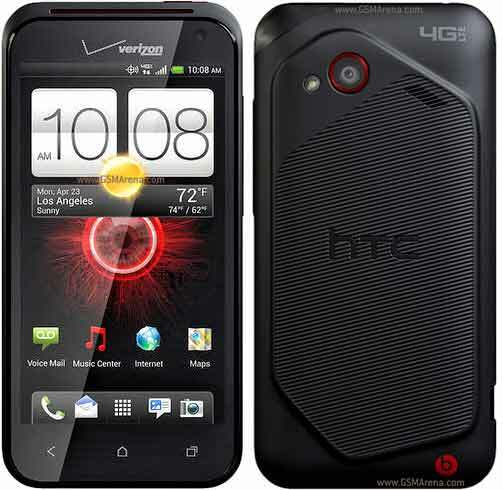 The HTC DROID INCREDIBLE 4G LTE will be sold for $149.99 after a $50 mail-in-rebate and two-year contract.